Picture yourself at the helm of a beautiful sailboat, chartering in the Caribbean, Greek Islands, South Pacific, and Croatia. Imagine the thrill of confidently taking family and friends out on your own cruising catamaran or monohull. 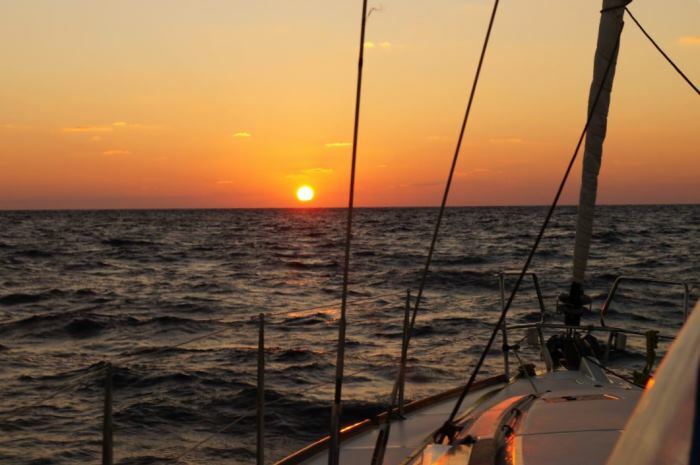 All the learn to cruise courses below are taught on 43’ to 50’ monohulls, and give you the skills and bareboat cruising certification to embrace the sailboat cruising lifestyle with ease! 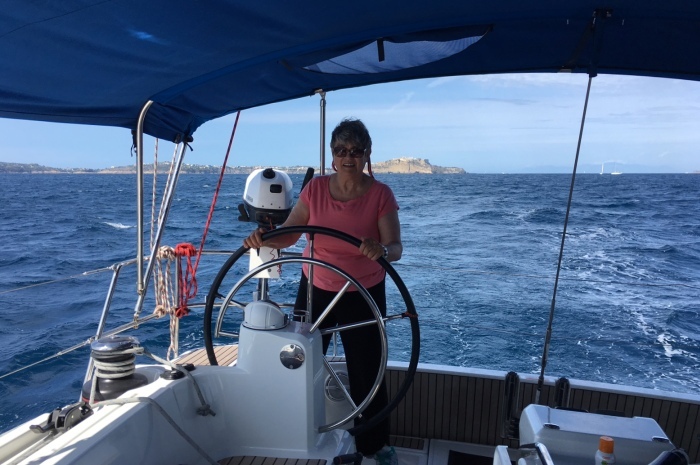 If you are not yet a sailor or have minimal experience, Fast Track to Cruising Courses® take you from your couch to the captain’s chair in one week. You start with two days of sailing lessons on a Colgate 26 while staying ashore at night, then five or six days either on a 43’ to 50’ monohull (OSS 101/103/104) or 40′ to 48′ catamaran (OSS 101/103/104/114) – learning how to handle big sailing yachts. In most of our locations, you may also take the entire course while staying ashore. If you have basic skills and are comfortable steering and maneuvering sailboats at least 20’ in length, you can skip the first two days on the Colgate 26 and enroll in one of following sailboat cruising course options, all culminating in completing a Bareboat Cruising Certification course. Ideal for families learning together, Bareboat Cruising Certification Courses at our Florida catamaran sailing school or monohull sailing school, are taught in a format where you sleep ashore and do your classroom and hands-on training in a combination of half- and full-day sessions. 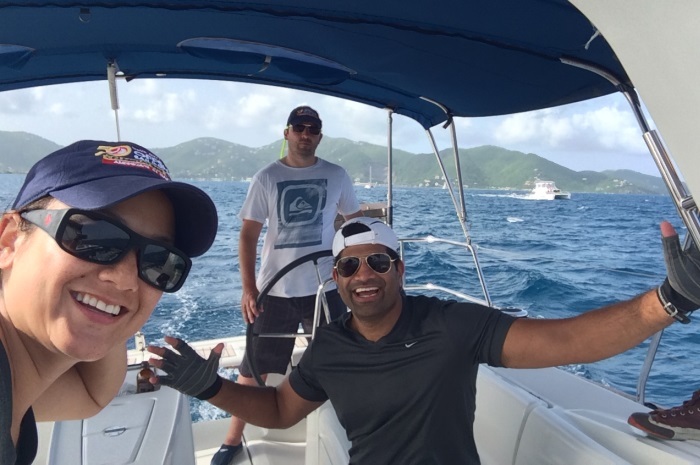 These bareboat sailing lessons are also a great way for friends and family in different level courses to learn on the same schedule and share free time enjoying other activities together. Live Aboard Cruising Courses provide total immersion in the cruising lifestyle. You sleep on the boat throughout the live aboard sailing lessons, while sharing all the tasks aboard with your classmates, as you learn while sailing from port to port each day. To gain total confidence in your cruising skills, you should consider learning more about navigation. At Offshore Sailing School you can take a two-day shore-based course with prior home study or study the same catamaran sailing lessons while cruising on a big catamaran. Catamaran Live Aboard Navigation Courses are the next step up from all the courses above. Offshore Sailing School organizes flotillas all over the world, for Offshore Sailing School graduates and competent sailors who love to explore under sail. These hassle free sailing vacation adventure cruises are lead by our elite team – Nate and Heather Atwater. It’s a great way to get away without having to research or do any of the planning. Just sign up, pack your bag, and meet your crew mates and the Atwaters for flotilla cruise vacation in amazing ports all over the world.